A truly new way to live – that is what Zigloo.ca is all about. Located in Victoria B.C., Canada, this small company uses shipping containers as architectural building blocks; the benefits of which are lowering our carbon footprint, saving our forests and doing it affordably. We spoke with Keith Dewey, owner and designer of zigloo.ca, to find out more about the world of shipping container homes and CargoSpace Living. In 2001, I read an article about a single shipping container that was converted into a survival shelter in the Australian outback. My mind immediately started playing with concepts that involved a number of containers. It seemed to me that strategic manipulation of the structural elements of steel containers could save money and simplify the building process. 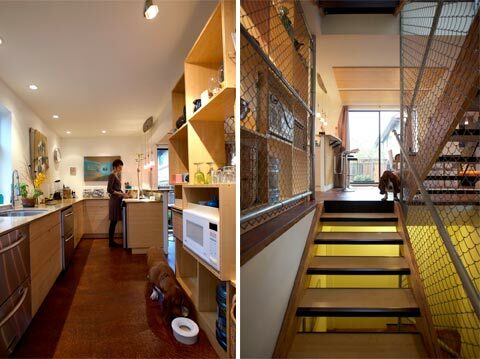 Describe your approach to container housing design & construction? 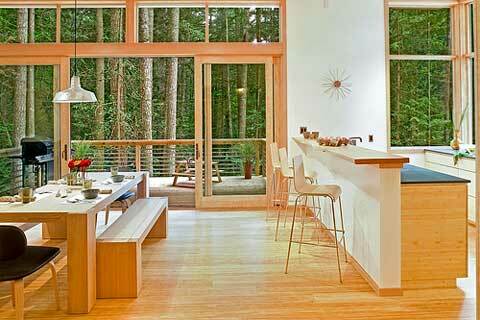 The most important principal of design today should be finding “the green alternative”. Generally this means spending more money on technologies and manufactured materials that are deamed to be “green”. I make the case that if you can start with a construction element that has already reached its end-of-life, you are not only saving the use of traditional (wastefully harvested) materials … but you are saving the energy and carbon footprint that would go into recycling the old steel container into something usable again. I insist that the containers I utilize in my designs be as close to end-of-life as possible. 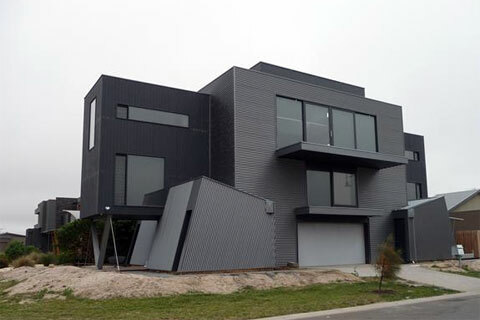 Can you tell us about container home construction, in terms of process, choice of materials and customization? 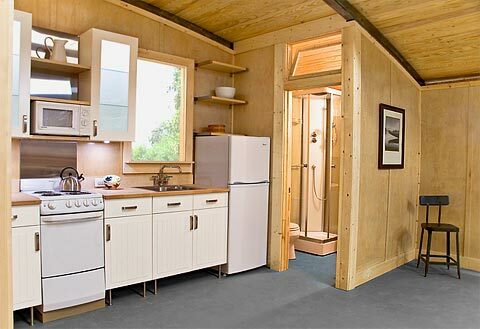 Container home buildings are a whole new frontier of the building industry. The benefit of forging into new territory is that there are no rules (historic or aesthetic). The ability to introduce other reused materials in unconventional ways is wide open … and the precedence has been set by utilizing containers as the main structural element. 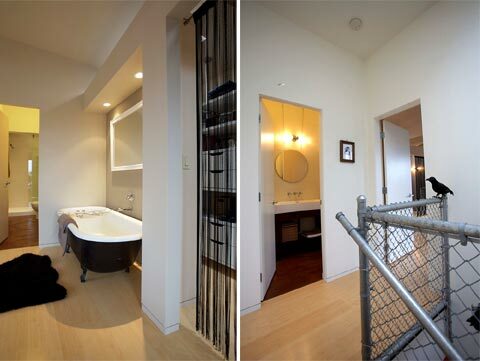 I have used chain link fence as an interior finish, reused steel stairs from a military vessel refit, and reused industrial lighting fixtures from a warehouse demolition site. Harmonizing the residential function with the industrial materials has developed into the “residustrial style”. 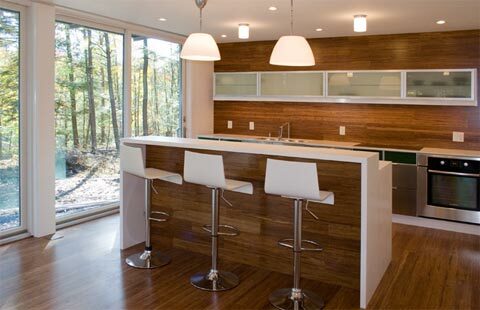 Environmental, economic, and passive solution sustainability are all very important elements in modern design. Utilizing reused materials (environmental), saving money on scrap materials (economic) and making use of the environment surrounding the building to its fullest advantage (passive solutions – ie. monopolize on prominent cross ventilation rather than mechanical systems) are ways that zigloo.ca integrate sustainability into every design. What would you consider to be your most challenging project and why? I am in the midst of my greatest challenge right now … looking for a way to integrate prefabrication into the world of environmentally friendly container building design. Finding the right manufacturing facility, the right partners with vision, and the right financial backing is a tricky combination. I believe that the first manufacturer to make this happen will be flattered with a plethora of imitators. But, if the quality can remain paramount, the pioneer will thrive. If I were to live in an extremely hot or cold climate, would a container home be the right choice for me? Technological advancements in engineering have made insulation today that can withstand any climactic condition. Whether insulating from the inside or out, environmentally friendly spray foam is my insulators of choice. Why do you want to use containers? is cost your most important priority – because there are “cheaper” ways to build a house. In my opinion, the most important reason for using containers must be because it is a truly “green” alternative. 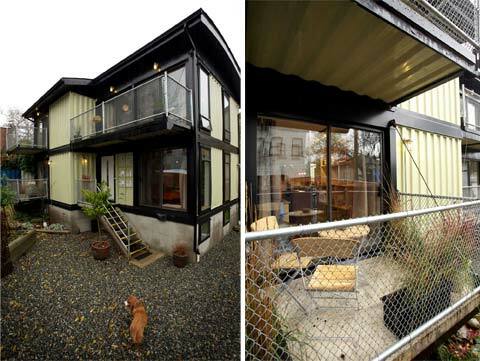 Does a shipping container home require any special maintenance? Is rust an issue with this type of construction? The shipping industry has a whole infrastructure of maintaining and refurbishing these steel boxes. The containers usually endure salt-spray, rough handling at ports worldwide and constant rocking and rattling on boats, trains and roads. In reality, a container sitting on a foundation, well waterproofed and sheltered under a roof, is a very sweet retirement for an end-of-life container. Yes. It is much more efficient. I have developed zigloo domestique to be a 2000 square foot home on 640 square feet of land. the level of comfort rivals homes costing twice as much by utilizing efficient in floor heating, passive air circulation for cooling, and water conserving/energy efficient, high-end appliances. 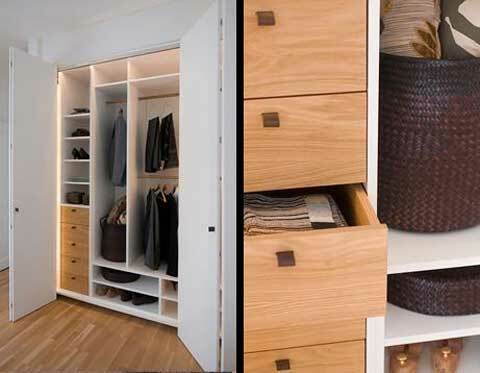 Are there any prominent features or benefits to living in a container house? I think the biggest benefit to living in a container home is that the money saved in construction and structure can be diverted to more energy efficient appliances and finishes that make living in containers very comfortable. Prefabrication is the holy grail of the building industry. I believe that if it is done with efficient, environmentally friendly priorities, people will choose that above “cheap and dirty” manufactured building. I love that people are researching all the different aspects of the building industry. I am very excited to see all the solutions and details that others are exploring. I am especially impressed with the mechanical solutions designers are employing to transform single containers into cafes, show rooms and temporary structures. I believe containers are a step along the path as designers explore the reusability of the natural resources around us every day. Already there are exciting ideas being explored using wooden palettes, airplane fuselages and other demolished building parts. Currently, I am making some of the more popular concepts on the zigloo.ca website available for purchase. There have been many do-it-yourselfers asking about building their own container homes. I hope this will give them an opportunity to explore alternative building style themselves. Very nice to see you digging down a layer and getting some design insight beyond the obvious.